Sports cycling glasses are designed to reduce the glare from surfaces like water snow, and glass. They can be highly useful for sports, cycling,driving and fishing by helping the participant in these activities to see more clearly. 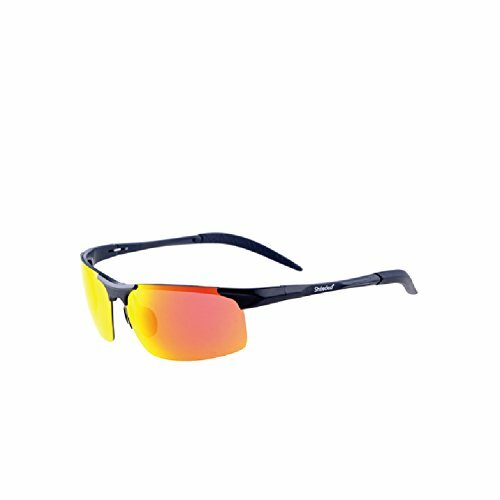 -Great fashion frame design for cycling, running, fishing etc. outdoor lifestyles. -Soft Rubber Nosepad,Let Your Feel Comfortalbe While Wearing This. or contact us via message. We will reply you within 24 hours! Please use neutral detergent or soapy water to clean and gently dry with a clean soft cloth. GREAT FOR CYCLING--Great for motorcycle and cycling, driving, running, fishing, racing, skiing and climbing, Trekking or other outdoor activities enthusiasts. FRAME AND LENS--High quality Polycarbonate material and durable enough for long time using. All lenses have 100% UV400 Protection Coating, block 100% of UVA, UVB and UVC rays, and harmful blue light. Glasses legs--Anti-slip Silicone Glasses Leg Prevent Glasses Falling Easily . Fashion and stylish design-- Polycarbonate lens and frames are impact, scratch resistant, durable. If you have any questions about this product by Sxacntg, contact us by completing and submitting the form below. If you are looking for a specif part number, please include it with your message.